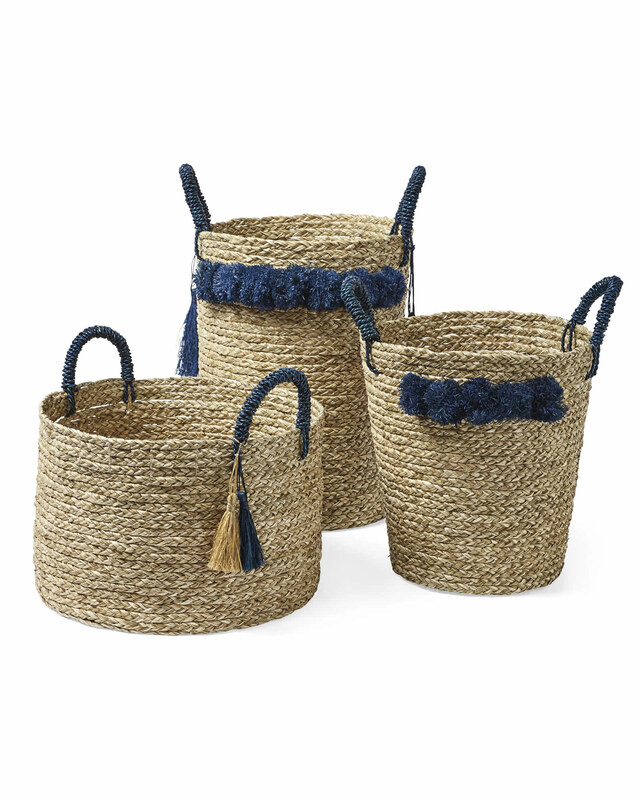 Tassel BasketTassel Basket, alt="Tassel Basket, "
Print Our take on tassels, these pretty and practical seagrass baskets keep clutter stylishly out of sight while also adding a decorative touch to your space. 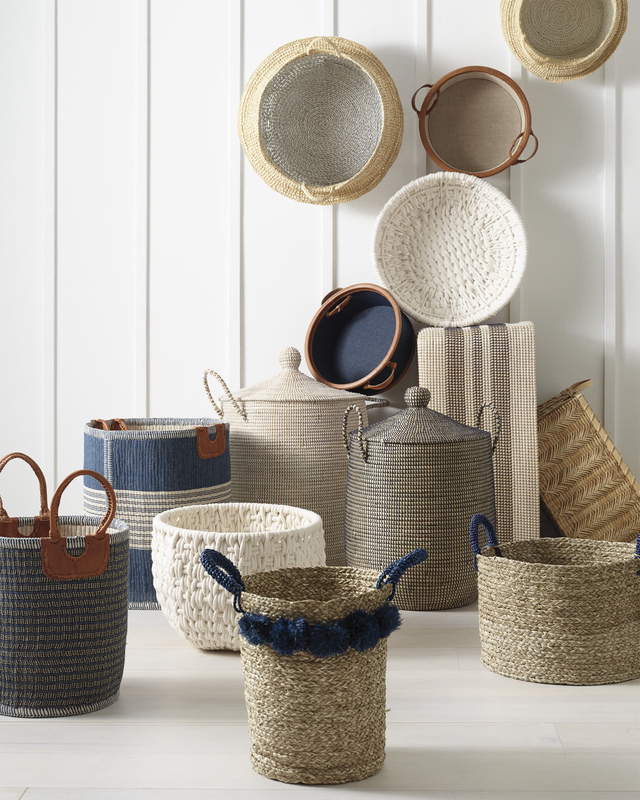 Use the smaller sizes to stash away everything from yarn to toys and the larger sizes for blankets, towels and more. 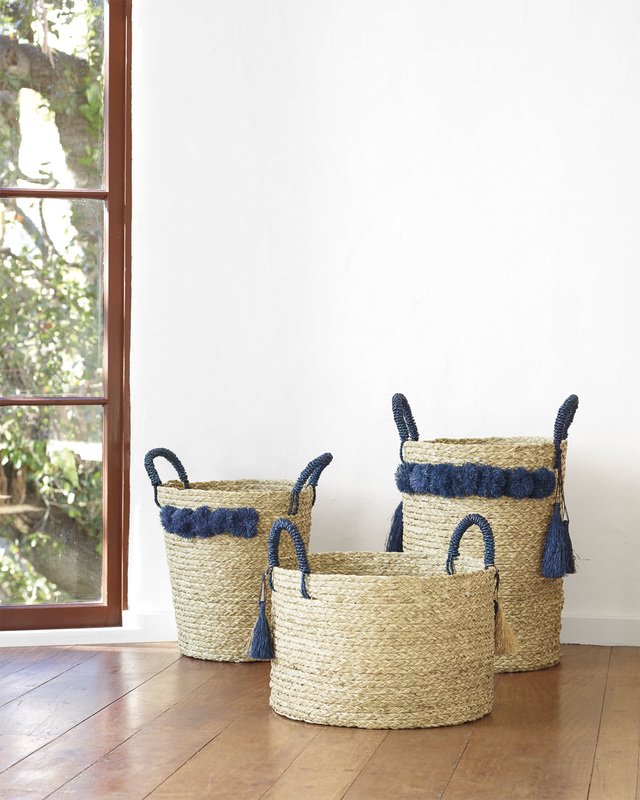 Side handles make them effortless to tote around.